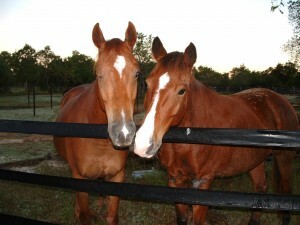 An argument that horses are not an agricultural product and must be defined as companion/sports animals under law in both Canada and the United States and provided the same legal protection as dogs, cats and other pets from animal neglect, abuse, abandonment and being slaughtered for their meat. AGRICULTURE: Also called farming or husbandry is the cultivation of animals, plants, fungi and other life forms for food, fiber and other products used to sustain life. HORSE: A large hoofed mammal (Equus caballus) having a short-haired coat, a long mane and tail, domesticated since ancient time, and used for riding or carrying loads. During the 2012 London Summer Olympic Games, more than 30 marvelously talented and exceptionally well trained athletes represented the United States and Canada, carrying on a proud tradition which has its roots in the very earliest exploration, creation and development of these two modern neighboring countries in North America. These are the horses of our Team USA and Canadian Olympic Team equestrian squads, competing with their human partners to bring honor to their respective countries in the sports of dressage, eventing and show jumping. Win or lose, the riders in these Olympics are respected by their countrymen long after they have retired from competition simply for having earned selection to their nation’s teams. Sadly, there is a high probability that many of the horses that carried them to glory will meet an entirely different destiny when their competitive careers are over, a gory premature death in an equine slaughterhouse for their meat, which will then be exported for human consumption abroad. It is to the eternal shame of both the United States and Canada that we allow the slaughter of our horses for foreign tables when neither country would even exist had it not been for the labor of these loyal creatures who have served us so faithfully for centuries, and for whom the thought of eating their meat is as alien to the vast majority of our citizens as consuming their dogs, cats and other pet animals. It was the horse who literally carried Americans and Canadians on its back from the birth and throughout the early history of these two vast nations until well into the 20th Century, and who is still highly valued in both and bred and raised only for companionship, recreation and sports as their participation in these 2012 Olympic Games so vividly demonstrates. Ironically it is our society’s continuing love affair with horses that has created a condition today that sends tens of thousands each year to suffer the terror and horrific death of being butchered in Canada and Mexico. As recently as five years ago this abomination was also allowed in the U.S. Its return has been made possible today because of a thin legal thread that is subject to the annual whims of Congress, and this was recently severed. Although the current debate raging about equine slaughter in the United States and Canada may seem like a new hot button issue to younger generations in both countries, it has been around almost as long as the “horseless carriage” itself for almost 100 years and owes its origin in large part to three men, albeit one of them inadvertently, for changing the historic role of horses who were not domesticated for the human food chain but instead to help produce it. In the beginning as now, the arguments on both sides of this issue are the same and are based upon whether humans have a special and ancient relationship with horses and should continue to view them as partners and companions, or whether they are now just another species of livestock animal that is nothing more than a commodity to be used for profit in any way their owners see fit. One fact is indisputable, however, horses have never been bred, raised and certainly not regulated for human consumption as are other meat producing livestock animals in either of these North American countries. There was no question about the status of horses on farms and ranches across the United States and Canada prior to the 1920s. 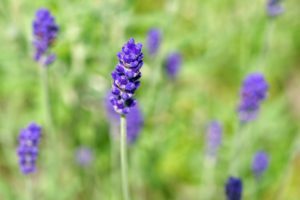 They were accessories to agricultural production; instrumental to and used only for herding, plowing, harvesting and transporting real agricultural products. Horses were no more part of the food chain themselves than the tractors and trucks that have replaced them in these tasks today. When their historic role in agriculture was quickly replaced by those vehicles and motorized farm implements like combines, harvesters and a variety of other machines that moved under their own power, the horse suddenly found itself in limbo. An extensive review of literature published not only by the Thoroughbred breeders but other leading equine registries including the American Quarter Horse Association, the Arabian Horse Association and numerous others found not one mention that the meat from their horses also tastes great and is nutritious if you chop them up into steaks, hamburger, sausage and other food items. No, clearly the commercial equine industry is not breeding horses for the food chain or as an agricultural product, but for recreation and sports use and therefore their product should not be grouped with cattle, swine, poultry and other traditional meat providers under law. It really is as simple as that and yet almost one hundred years have passed with no obviously needed change in the legal status of horses to reflect their actual role in modern society. Because of that failure human greed has sentenced literally millions of horses to the brutal and untimely death of equine slaughter, even though Americans and Canadians don’t eat their meat themselves, There are still between 100,000 and 200,000 from the two countries meeting that grisly fate each year while our governments turn their backs upon this injustice. However, recent scientific and medical developments have added a new element to the debate, making it imperative that we legally establish once and for all that the role of horses in North America is as humankind’s’ age old friend and servant and not a source of meat for foreign tables. This is the determination that virtually all meat from horses raised in Canada and the U.S. contains drug residues that are harmful to human health. While true food chain animals are strictly regulated from birth to slaughter for not only what drugs can be administered but also even what foods they eat, there are no such restrictions on horses and they are commonly given a long list of veterinary medications that have recently been established as dangerous to human health. The bottom line is that the meat of any horse arriving at an equine slaughterhouse in North America is a potential threat to human health and life and it is unconscionable that this trade be allowed to continue. With the scientific evidence now firmly established and 80 percent of the U.S. public and 64 percent in Canada opposed to equine slaughter, banning it in both countries is social legislation whose time has come because even beyond the immoral murder of our horses, to knowingly produce and export a toxic food product to the population of other countries is in violation of every moral, ethical and legal principle for which these two great nations stand. This paper makes a case for that position and further that equine slaughter must end in both countries concurrently, because if it is allowed in either, horses from the other will continue to die, as has been proven when equine slaughter was temporarily halted in the United States in 2007. It has continued unabated as U.S. horses are now trucked across the borders to their deaths in Canada and Mexico in even greater total numbers than before the butchery was halted by the US courts. Slaughter of our horses in Mexico, with its different culture that eats horse meat and is the world’s second largest consumer in this category, presents a separate problem and cannot be successfully addressed until after the U.S. and Canada have declared it to be an immoral and illegal trade first. We can then work together to stop our horses from being transported south to slaughter by attacking that country’s far larger tourist trade, bringing attention to the barbarism of slaughter practiced there to our own citizens and the rest of the world to convince the Mexicans to help us seal the border. While it may be generations before Mexico is convinced to stop butchering and eating its own horses, our immediate priority must be to find ways to prevent Canadian and U.S. horses from crossing their border for that purpose. First, however, we must clean up our own backyards. This paper will suggest what the various parties in the North American Horse Wars must do to finally bring them to a just end. First a look at the history of equine slaughter is offered to provide a perspective for the current debate and illustrate why the past 100 years have been without question a century of shame in our treatment of horses in the United States and Canada. It probably never occurred to Ford that by removing the burden of horse care from farming and, with it, our society’s dependence upon these creatures who had served as mankind’s principle means of ground transportation and had labored by our sides for thousands of years to produce the food that sustained us, horses would eventually be relegated by some to being viewed as food animals themselves. In fact, Ford might have predicted that the historic emotional relationship between North Americans and their horses would continue when he responded to a question about what the public would think of his innovation in mass producing automobiles by saying, “They probably would have been happier if I could have invented a faster horse instead”. By May 27,1927, when the 15th million Model T rolled off the line, the age of the “horseless carriage” was firmly established and the horse itself, who had toiled in service to colonists from the earliest exploration of the New World and without whom the very the creation of the United States and Canada would not have been possible, was ousted from its essential role in our society in just two short decades. Automobiles, trucks, tractors and other motorized conveyances and machinery relieved the North American farmer of the burden of horse care, just as Mr. Ford predicted, but what he could not have foreseen was that our society’s continuing love affair with horses would place these magnificent animals in a position to be brutally butchered by a small element of greedy businessmen who have attached themselves to the legitimate agricultural community like parasites. It was perhaps another innovation sweeping through early 20th century North American society during this time that played the most significant role in the horse firmly maintaining its place in our collective minds and hearts despite being rendered obsolete for its labor and utility – the advent of moving pictures. These firmly established the horse as the icon of our frontier heritage and rightfully should have made him the symbol of our freedom. During the 1920s and 30s, while automobiles and other mechanized vehicles and machines were quickly replacing the horse’s role in North America’s economy, motion pictures were evolving rapidly. Even the early black and white silent films featured western movies and these continued as an entertainment staple for decades. The trend continued into the 1970s as millions of Americans and Canadians watched on television the exploits of cowboys, lawmen and the horses who made their fictional adventures in the Old West possible. Hollywood had been fast to recognize the special relationship that exists between humans and horses and this manifested itself in the portrayal of its screen heroes. The horses’ names and personalities were as familiar to generations of viewers as those of their six-gun toting riders. Rex Allen’s KoKo, Ken Maynard’s Tarzan, Hopalong Cassidy’s Topper, Tom Mix’s Tony, Tex Ritter’s White Flash and Gene Autry’s Champion were just as much heroes to generations of Americans and Canadians as were their riders and had their own fans among horse lovers. Even the mounts of our movie heroes’ sidekicks became legend. Roy Rogers was on Trigger while Dale Evans rode with him on Buttermilk, it was the Cisco Kid on Diablo and Pancho on Loco, The Lone Ranger astride Silver and faithful Tonto at his side on Scout. And we even knew that the icon of western movies, John Wayne, got his own nickname from Duke, the horse he rode in many of his films. The purely television cowboys were no exception either with Marshal Matt Dillion on Buck, Rifleman Lucas McCain on Razor and Have Gun Will Travel’s Paladin riding Rafter. Horses were even immortalized by television series in which they themselves were the actual stars in My Friend Flicka and Mr. Ed The Talking Horse. The horse might have lost its major role in the U.S. and Canadian economies but he still occupies a special place in our hearts and souls. Wildly popular motion pictures dedicated solely to the deep emotional relationship between humans and horses, such as National Velvet and Black Beauty; and more recently The Horse Whisperer, Seabiscuit, Secretariat and War Horse, continue to prove this beyond any shadow of a doubt. With their place in North American every day life reduced by mechanization, however, the number of horses in Canada and the U.S. began to drop, helped along by two world wars and the greed of one man who seemed to believe that the only good horse was a dead horse. The U.S. Department of Agriculture had begun tracking the country’s equine population in the late 1800s, so it is relatively easy to follow the impact of mechanization and other factors upon the number of horses in this country. This once-every-decade census has been taken in modern times from farms quartering five or more horses, so the figures are somewhat understated because an undeterminable number of horses are now kept in what is called “backyard” situations, often alone or in pairs. The USDA count does not include wild horses and others not confined in domestic settings. In 1910 when the Ford Motor Company and other manufacturers were just cranking up production, there were about 20 million horses in America according to the USDA, but just one short decade later, as horses were being quickly replaced for personal travel, farming and other roles that had been solely theirs in the past, the decline in their number begun in earnest. We will see in a moment that World War One played a major role in that sudden drop. American and Canadian horses were in great demand as cavalry remounts for our own forces and the rest of the Allies, and virtually none made it home. However, it was the advent of the mass slaughter of horses for human consumption abroad immediately after the war and later to feed our fellow companion animal, the dog, in North America that was the most significant factor in decimating the equine population in the U.S. and Canada. By 1930 there were only 13.5 million horses in the U.S. and their numbers continued to drop steadily over the next six decades to just over 2 million during the late 1980s as their role in society changed almost entirely to one of recreational and sports use. Comparable historic data is not available for Canada’s equine population, but an Agriculture Canada survey estimated there were only 500,000 horses living primarily in the Prairie Provinces in 1991. As a society we still wanted our horses, they just weren’t essential to us any longer. The major reason for that rapid decline, in the U.S. at least, can be attributed directly to the second man mentioned at the beginning of the paper, the predecessor of modern day horse butchering proponents like Claude Bouvry in Canada and Charles Stenholm in the United States. If Henry Ford was the father of the automobile, then to Phllip Chapel goes the dubious distinction of being the father of horse slaughter in North America. Chapel, a naturalized U.S. citizen from England, began his career in the animal flesh business as a traveling salesman for a traditional meat packing company in Rochester, N.Y. Obviously no horse lover, he rode a bicycle around his territory encompassing a 50-mile radius of that city hawking its products. However, when the United States entered WWI in 1917, Chapel discovered that supplying horses for cavalry remounts was a much more lucrative occupation and roamed the region buying horses as cheaply as possible from local farmers, then quickly reselling them for top dollar to the military until the war ended. He became rich in the process by selling a total of 117,000 to the U.S. Army. Since almost all of these horses employed in WWI, a total of just under 900,000 by the allies alone, were killed as casualties of combat or slaughtered and fed to prisoners of war afterwards, Chapel perhaps could also be considered the father of the modern day “kill buyers” for today’s equine slaughter industry. Only 20 of the 182,000 horses that originally accompanied the U.S. Expeditionary Force overseas returned from the battlefields of Europe as the modern machine gun and heavy artillery quickly ended the role of horses in modern warfare in an ocean of blood. Most of those that did survive quickly perished as they were sold by the tens of thousands to local butchers throughout Europe as a substitute for beef and pork because the cattle and swine herds there had been decimated by the war and there was no other meat source available. One European statesman at the time noted that horse meat was a food only in times of desperation. Those were desperate times on the war-ravaged Continent with millions of people bordering on starvation. In the meantime, back in America, Chapel found himself with an abundance of horses on his hands and no market for them. Since he had become expert at acquiring horses whose services were no longer needed, he quickly launched another career that was to make him the greatest mass murderer of horses the world has ever seen. Ever the opportunist, he seized upon the plight of Europe’s starving masses and immediately began butchering his horses and shipping their pickled meat to Europe, taking the first step toward earning the title of father of equine slaughter in North America. Apparently it made no difference to Chapel whether horses were cannon fodder or fodder for a foreign table, to his eyes they were nothing more than dollars on the hoof. Knowing that this foreign market would end as soon as the Europeans began producing their own meat products again, Chapel was thinking ahead. He knew that the rapid move to mechanization would make more of America’s horses available in future years as they were replaced by motor vehicles and motorized farm machinery. He needed a way to capitalize on this. He knew that North Americans would never consider eating horse meat themselves, so his solution was to slaughter horses for dog food. The average American and Canadian family might not own a horse any longer, but they still had their canines. In 1921 Chapel established the first commercial canned dog food plant in New Jersey, Ken-L-Rations, and the near extinction of one of our historical companion animals to provide food for another was underway. Canned dog food was cheap and the market was so vast and lucrative that by 1923 Chapel found it necessary to expand and moved his operation to Rockford, ILL, where there was not only a large 23-acre cannery facility vacant and available, but the Midwest region was also ripe with Clydesdales, Belgians, German Coach Horses, Percheron’s and other heavy breeds that had served on its farms and were perfect for his burgeoning business. At the height of production there were more than 600 men working at Chapel’s Rockford plant. The canned food was being sold in 150,000 stores nationwide. In doing so, he quickly drained the upper Midwest of almost every available horse and had to turn elsewhere to insure a steady stream of doomed animals into his plant. Chapel then set his sights on the West where approximately a million mustangs roamed free and, in so doing, triggered another sad page in American history. There was no legal protection for these frontier icons and as far as Chapel was concerned they were his for the taking. He could buy them from the mustangers for $3 a head and before he was done the wild ones had been hunted almost to the edge of extinction to fill his dog food cans. Since the wild herds were being quickly decimated, Chapel knew that in order to guarantee an ongoing supply of cheap horses for his slaughter and canning operation, he had to find a way to replace some of them. He moved quickly to gain control of 1.6 million acres of public land in Montana and Wyoming and actually started a breeding operation to sustain the wild horses, at the same time making them more suitable for his cannery operation. He began releasing Percheron, Belgian and Shire draft stallions into the mustang herds to produce wild horses with more meat on their bones and therefore for his canned product. In the meantime his collection point at the railroad in Miles City, MT, had become a house of horrors for horses as they were brutally crammed onto trains for shipment back to Rockford. Between 1923 and 1933 enough horses were transported in horribly inhumane conditions to fill over 58 million cans of dog food when Chapel’s company was in full swing. Since these animals were considered the living dead by his employees they abused them without qualm in forcing them into overloaded railroad cars for the long death ride to Illinois. Although Velma Brunn Johnson, better known as Wild Horse Annie, deservedly gets most of the credit for bringing this atrocity to the attention of the American public and eventually providing some protection for wild horses by fighting tirelessly for, first, the Hunting Wild Horses and Burros on Public Lands Act in 1959 and later, the much stronger Wild and Free Roaming Horses and Burros Act of 1971, the first true horse advocate to fight for their cause was the third man of the trio which changed the destiny of North America’s horses forever. He is not nearly as well known as Wild Horse Annie and the many equine advocates who have followed in her footsteps, but was certainly no less passionate about their plight. In fact, this man paid with his life for his lone battle to save horses from slaughter before it became a popular public cause. If Henry Ford was the father of the automobile and Phillip Chapel of equine slaughter, then in 1925 Frank Litts, the man became the father of equine advocacy. Maybe it was because Litts, later to become known as the Cowboy Bomber, had spent his life working in underground confinement as a miner in Alaska and Montana that he had such a deep emotional attachment to the free roaming mustangs, but whatever the reason they became his passion. When he wandered into Miles City shortly after Chapel had set up shop, Litts was appalled to see the atrocities that were being perpetuated upon the horses he loved so much, it triggered a powerful rage in this small statured man who was normally mild mannered. That rage eventually led to his dying in prison, but not before he had become the scourge of Chapel, who until that time had led his campaign to seemingly obliterate horses from the continent unfettered. After Litt’s first attempt at arson did some damage but failed to close down the Rockford cannery, Chapel hired armed guards to protect it, but this didn’t deter Litts from coming back again and again for another try. Stopping the butchery of America’s horses had become his life mission and a few men with guns weren’t going to stop him. In December of that year they did, however, seriously wounding and almost killing him in the process. A guard noticed a figure huddled by the factory fence that night and immediately opened fire, then with others gave chase as the wounded man ran away into the night. They never found him, but they did find the 150 sticks of dynamite left behind with which he planned on blowing that evil place into eternity. The next day Litts was found unconscious and bullet-riddled nearby and was rushed to the hospital, where he barely survived. Chapel couldn’t afford a highly publicized trial in which Litts would have the opportunity to tell the world about the horrors of his horse slaughter operation and engineered a speedy trial at which he was instead declared incompetent and sentenced to an asylum for the criminally insane. Chapel obviously hoped the little man with the big heart for horses would never be heard from again so he could get on with his bloody business without interference. It was a hollow victory for Chapel, however, because the years following Litts’ final attempt did finally see the end of his assault on America’s horses which had taken so many of their lives under the most inhumane conditions possible. The Great Depression in the 1930s brought the beef producers into the dog food market, taking away his near monopoly and Ken-L-Rations soon teetered on the edge of bankruptcy. Chapel himself was eventually forced out of the company and spent his final days living in Argentina trying unsuccessfully to recreate his success in America with horse slaughter. He died in 1938, just a few months after Litts. Of the three men who left such a lasting legacy on North America’s horse wars, one died in prison, one died a pauper in a foreign land and the third ended up with his picture on a U.S. postage stamp as the founder of one of his country’s major industrial giants. A post script to this story is that another U.S. industrial giant, Quaker Oats, better known for its breakfast products, bought out the struggling Ken-L-Rations operation just before World War Two and continued to slaughter horses, although in much smaller numbers and selling a few carloads a week of Chapel’s original pickled horse meat in eastern cities where immigrants from Europe since the first world war had eaten it before and couldn’t afford to buy beef or pork at war time prices. Equine slaughter has remained legal and sadly continued in both countries despite determined and ongoing efforts to stop it by dedicated and passionate horse lovers in Canada and United States as the North American Horse War first engaged in by Litts and Chapel has continued through subsequent generations. Its deadly history since WWII is one of temporary victories and losses for both sides despite despite steadfast overwhelming public opinion against it. Most horses slaughtered in the U.S. for human consumption abroad during the years following WWII were by smaller locally owned companies around the country There were still several of these in operation in 1990, butchering over 345,000 animals that year while over 70,000 more met the same fate in Canada. Then the Europeans decided to cut out the middlemen and moved in take over horse slaughter and processing in the U.S. By the mid 2000s there were only three equine slaughter and meat processing plants left in this country; Dallas Crown in Kaufman and Beltex in Fort Worth, both in Texas, and Cavel in DeKalb, Illinois. All three of these were owned by corporations in Belgium and France and collectively produced $42 million in horse meat products annually, with virtually none of those dollars benefitting the American economy. Of the four major equine slaughter facilities in Canada still operating, two are owned by Claude Bouvry of Calgary, a man apparently determined to stake his claim as Philip Chapel’s heir apparent in the mass murder of North America’s horses. One of those temporary victories was achieved by equine advocates in 2006 when a court ruling forbade allowing the companies operating in the U.S. to pay USDA’s Food Safety Inspection Service directly for their own meat inspectors in the form of user fees, a blatant conflict of interest, and all three were forced to close down. Undeterred and with a powerful ally in USDA (which has undergone a transformation from an agency created to serve the American public to one bent on raking in as much money as possible as a profit-making enterprise) the commercial equine breeding industry, which strongly supports horse slaughter as a dumping ground for horses that don’t meet their breed standards or brood mares past their prime, the Thoroughbred racing industry to which it provides an easy outlet for horses who aren’t fast enough for the track or whose competitive careers are over, and other elements that also refuse to take responsibility for their byproduct, went to work quickly to overthrow this ruling. A clandestine behind-the-scenes lobbying effort has both blocked legislation in both the Senate and House that would permanently ban equine slaughter in the United States and also led to a shady political maneuver in late 2011 that restored funding for horse meat inspections in 2012, thus circumventing the court ruling five years earlier. This was countered by a recent amendment to defund them again in 2013, but the final decision on that is languishing in perhaps the most ineffectual Congress in U.S. history and at the moment equine slaughter is legal again in the United States and is literally an axe hanging over the heads of our horses. Those bills in both Houses of Congress that would protect U.S. horses from slaughter, the second session in which they have been introduced, are locked up in committee and have little chance of ever seeing the light of day. A similar piece of legislation is before the Canadian Parliament, but its odds of survival are little better. 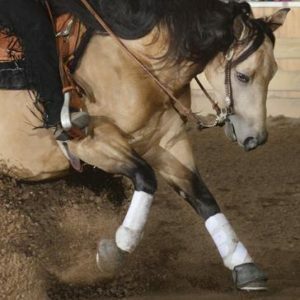 This writer believes that a much simpler piece of legislation redefining the horse under law as a companion/sports animal and therefore protecting it from slaughter that way would be even more effective and easier to pass. To truly work in the States, however, such legislation must completely remove horses from the jurisdiction of both USDA and BLM and place them under the authority of a government entity, perhaps one that will have to be created, that will actually work for their welfare and not against them behind the scenes as these two agencies have from the beginning. 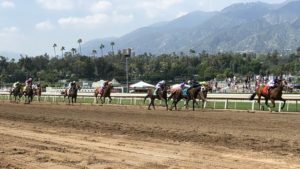 If the two decades encompassing the 1910s and 1920s were the most dramatic time for change for North America’s horses, then the 1990s and 2000s are close behind in second place for bringing about a change in their status. The economic boom years of the 1990s brought about living beyond our means and with that fantasy horse ownership and riding became a reality and within the seeming economic reach of millions of people in the middle class who would have never before considered it. Horseback riding was for awhile the fastest growing recreational activity in America. The horse breeding industry responded quickly to the growing demand for horses and by the turn of the century the U.S. equine population had soared and approaching almost four million, then quickly doubled once more as the economy rushed toward the crash of 2008. The same thing was happening in Canada, where it is estimated the equine population had also more than doubled since that survey in 1991. This is period is well covered by Jerry Finch in the accompanying link, so it is time to move on to what this writer believes are real solutions since the problem itself is well defined. We must dispel any notion that the government agencies responsible for horses under current law will play any role in ending debate about equine slaughter in favor of the horses. In fact, these are solidly aligned with the pro-slaughter people and must be considered just as much the enemy as the despicable kill buyers who actually scavenge both countries looking for horses to send to their brutal deaths. The United States Department of Agriculture has undergone almost a complete metamorphosis from what it was originally intended to do when the bill creating it was signed into law by Abraham Lincoln in 1862. Lincoln described the new agency then as “The Peoples Department’ because its original mission was to help the large majority of the America’s population that lived on farms at that time. The actual mission statement read as follows, “To acquire and diffuse among the peoples of the U.S. useful information on subjects connected to agriculture.” USDA is now a bane to the few remaining small family farmers and ranchers across America and a slave to the large corporations that control so much of the country’s agricultural output. It is one of the few government agencies that actually turns a profit due to its intricate system of user fees. The Bureau of Land Management, charged with responsibility for wild horses and burros on public lands, has instead been trying to exterminate them from the very beginning in favor of making every blade of grass available to fee paying cattlemen and ranchers to raise real meat animals. This is vividly demonstrated by its efforts over the years to circumvent the laws protecting wild horses and burros. After the “Hunting Wild Horses and Burros on Public Lands Act” was passed in 1959 BLM quickly issued a ruling that if a rancher released a domestic stallion into a mustang herd, the following year the entire herd could be considered domesticated and therefore rounded up and sent to slaughter. To get around the law championed by Wild Horse Annie which corrected this, BLM then concocted a scheme in which one year after a horse has been adopted from one of its roundups it is declared a “sales authority” animal and all bets are off in terms of protection under the wild horse laws. At first slaughter kill buyers could obtain up to 40 horses at a time for the minimal adoption fee and then sell them for big profits 12 months later to the butchers, but public pressure lowered the limit to four. By using the names of family members and friends to adopt horses instead, these unscrupulous individuals today easily avoid the regulation and the BLM adoption program is still little more than a reliable supplier of horses for the butchers. With the economic down turn the agency now finds itself with between 30 and 40,000 horses on its hands and fewer adopters, so for the moment this scheme has backfired but again one would have to be naive to believe they’re not planning the next move to subvert the law and get these to the slaughterhouse in the largest possible numbers. Perhaps there are no two better examples of capitalism at work than the supposedly bureaucratic USDA and BLM and they should never be confused with attacks on the U.S. government as being socialistic in nature. That brings us to the current phase of the North American Horse Wars and a look into what the future holds unless the creatures who are so much a part of our culture aren’t given the same legal status as other pet and companion animals and removed from their jurisdiction. First, the EU drug residue regulations on horse meat from Canada and the United States, which have proven totally ineffective to date because they are essentially being ignored by authorities in both countries and easily circumvented with falsified documents about quarantine and ownership by the kill buyers and equine slaughterhouses, will finally have some teeth next year when as of July a lifelong medical passport will be required for each horse brought to slaughter that is intended for export to Europe. No such system exists in the U.S. and Canada, although I’m sure there is someone out there working hard to figure out a way to forge them. This will not completely end the market for North American horses in Europe but will hopefully reduce it dramatically. However it is naive to believe the equine slaughter industry will quietly fold up its tents and finally fade away. The horse butchers have not invested their time, efforts and considerable dollars lobbying to get horse meat inspections refunded, secretly assisted behind the scenes by USDA, for no reason. They have developed what they call their “China Plan” and are moving as rapidly as possible to not only open up markets in that country, the world’s leader in consumption of horse meat at 421,000 tons a year, but also Russia and Kazakhstan, both of which also rank in the top five in this category. These huge potential markets for North American horse meat, none of which are inhibited by drug regulations as their traditional customers in Europe are now, represent the future of this evil trade and actually will put more horses at risk in Canada and the Untied States than ever before with the demand expected there. By comparison, the French who are the largest market in Europe, eat only a little over 25,000 tons each year. USDA led a trade delegation to China this spring to explore new agricultural export opportunities there and horse meat exports were a secret item on its agenda. This group was preceded on a quiet trip there earlier by the chief spokesman for the horsemeat industry in the U.S., Stenholm. Is there any wonder there are those scurrying around the U.S. trying to find suitable sites for equine slaughterhouses or that Bouvry Exports has quietly developed a plan to reopen an existing one in Washington State? The horse slaughter industry is desperate to develop horse meat processing facilities in the U.S. to avoid the problems encountered at the borders so they can tap the vast new market awaiting them across the Pacific. In closing, this writer would like to express his opinion to the various combatants engaged in the North American Horse Wars today about what is required to bring them to an end with America and Canada’s horses finally safe from all except that Mexican border, which we must then work to close together. TO MEMBERS OF THE U.S. CONGRESS AND CANADIAN PARLIAMENT: Do more than respond to surveys that indicate the vast majority of you support an end to equine slaughter and demand that the bills pending before you to accomplish this be brought to the floors of your respective chambers so you can put your vote where your mouth is. And does even one of you have the courage to put forth a bill redefining horses to their true status in our two nations’ collective modern society and finally recognize the injustice that has shamed us for 100 years? TO THE EQUINE ADVOCACY MOVEMENT IN BOTH COUNTRIES: Let’s stop doing little more than lobbing bricks and find ways to work with the commercial horse breeding industry to make it economically feasible to reduce the number of at-risk horses each year and provide lifelong care for the ones remaining. We might have to compromise, but anything is better than what’s happening to horses now. And don’t kid yourselves, it can get worse. One such program is outlined in the White Paper on immediate and viable alternatives to slaughter referenced at the end of this paper, which was written as a resource for and endorsed by Dr.Temple Grandin in 2010. TO NATIONAL ANIMAL WELFARE ORGANIZATIONS WITH A PRESENCE IN WASHINGTON D.C. AND OTTAWA: It’s time to remove horses from the death grip of USDA and BLM and introduce national legislation that will redefine them so they are recognized and protected for what they really are, companion/sports animals. The current horse protection bills don’t go far enough, let’s use the time they are locked in committee to offer amendments to these or new legislation that truly solve the problem. TO THE COMMERCIAL HORSE BREEDING INDUSTRY: Stop paying little more than lip service to the welfare of the horses who earn your livelihood and work with the equine rescue community to find safe and lifelong homes for those at-risk today and in the future with programs such as those in the White Paper referenced above. Also, those aren’t “foal crops” you produce each year but living breathing creatures whose role is to serve humankind not feed it. Practice the kind of selective breeding that will reduce their numbers to only those that will find good homes. TO THE BREED REGISTRIES: Do what your mission statements claim and be truly responsible for the welfare of the horses you represent. The majority of your individual members would like to see the animals they love treated with dignity throughout their lives and will eventually turn against your current stands on equine slaughter. Take a real leadership role and work toward that goal today. TO PRIVATE HORSE OWNERS: Make a lifelong commitment to that animal you claim to love and who serves you so well. He or she is not a plastic water bottle to be thrown away when no longer needed. TO POTENTIAL HORSE OWNERS: Quite simply, if you can’t afford it don’t acquire it. And if you, do make the effort to become as knowledgeable as possible about the special care a horse needs first. Also, don’t forget, there’s no one waiting out there to take that horse off your hands when it gets old, so make the same lifelong commitment you do to your dog or cat. TO THE TRADITIONAL MEAT PRODUCING INDUSTRY: Stop aligning yourselves with the parasitic scavengers who do not raise their own animals, are not regulated by anything but their own greed and by association cast serious doubt about your own integrity as a livestock producer and food provider. TO USDA AND BLM: You have proven beyond any doubt that you have no interest in protecting our horses. Offer to step aside and allow a government entity that will truly represent them take on the responsibility you have not only shunned but prostituted. TO HORSE SLAUGHTERERS, KILL BUYERS, AUCTION AND FEED LOT OPERATORS AND ANYONE ELSE ASSOCIATED WITH YOUR VILE TRADE: We have fought you for almost 100 years and will never quit. The day will come when your reign of terror to our horses will end. Find honest work.